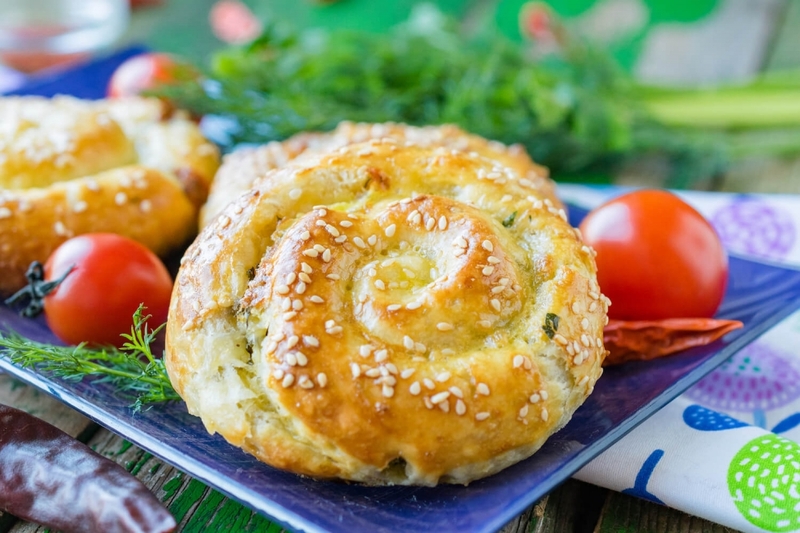 If you want to please your family with tasty and simple home-made pastries, make airy puffs snails with a stuffing from cheese of sulguni and fresh greenery. 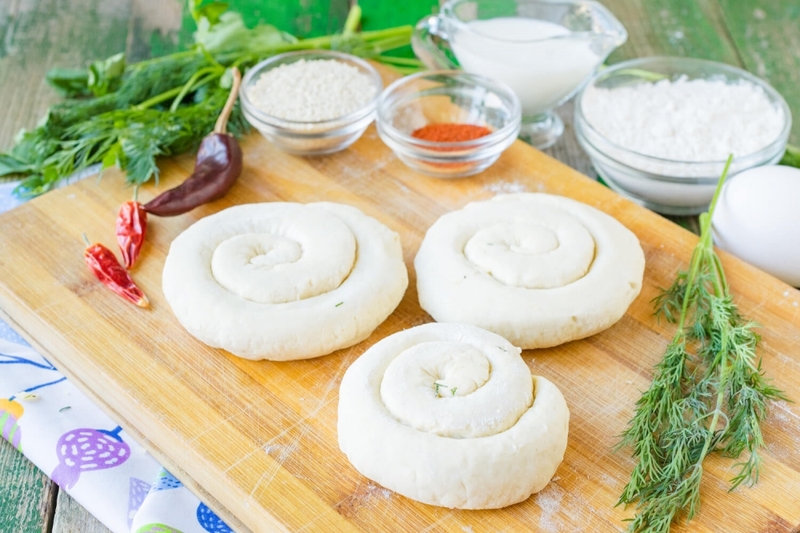 For the recipe we will use ready puff yeast dough that is why preparation will not take a lot of time. 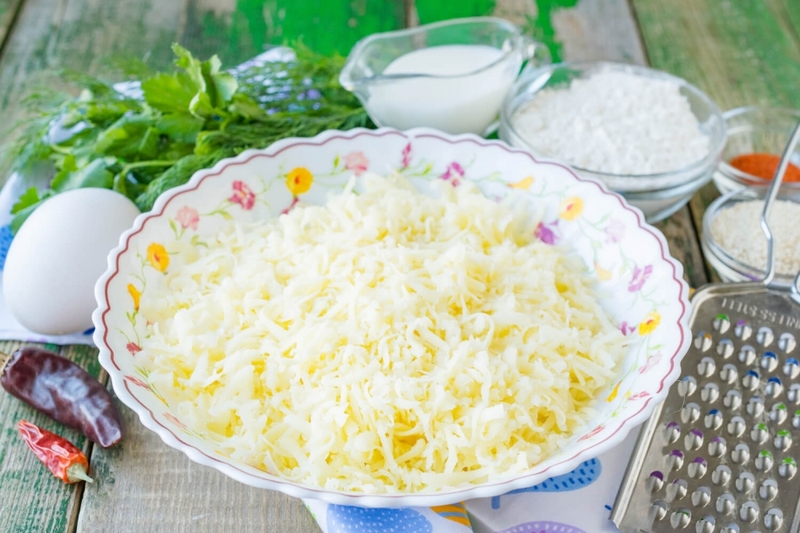 At will it is possible to add cottage cheese, sheep cheese, grated hard cheese or mozzarella to sulguni. It will be not less tasty and fragrantly! 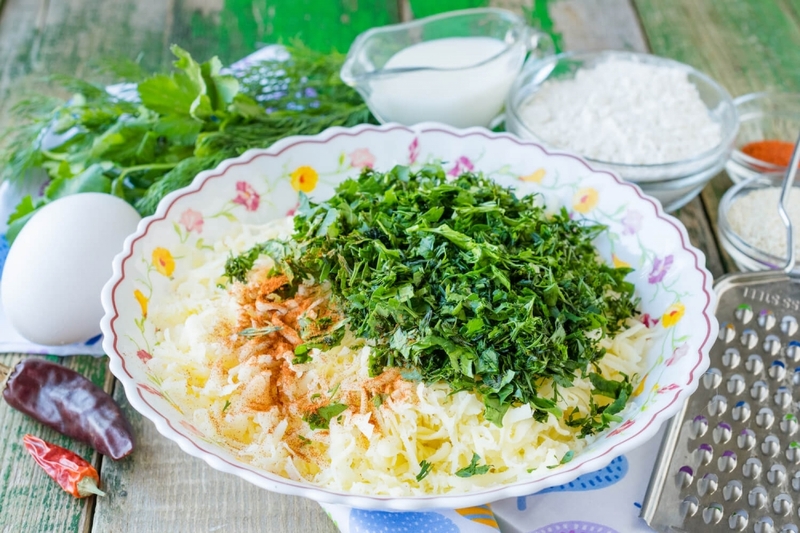 Except dill and parsley, for a stuffing it is possible to use cilantro, the basil and green onions stewed in butter. 1. 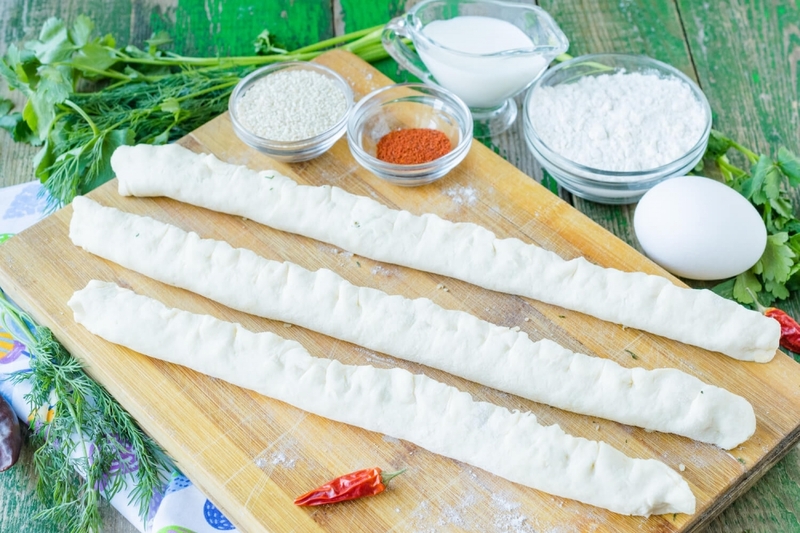 Defreeze at the room temperature puff yeast dough so that it becomes elastic. Grate sulguni cheese on a small grater. 2. 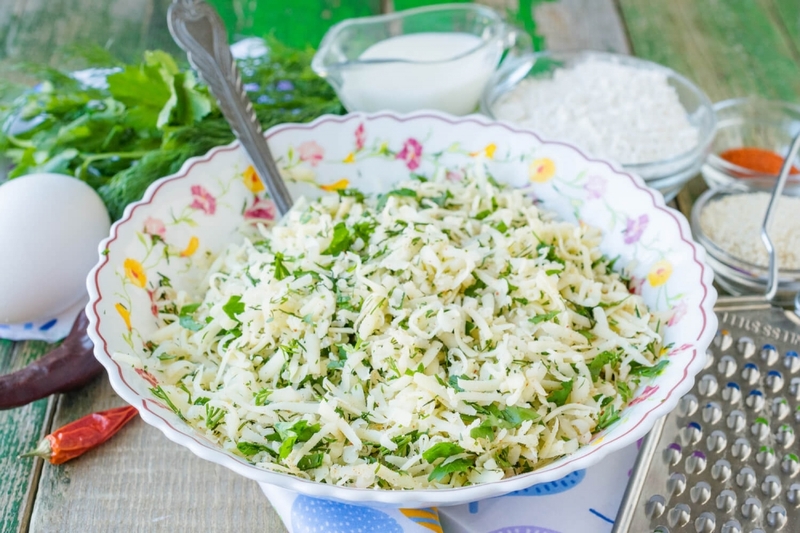 Then add a teaspoon of ground paprika and small cut greenery of dill and parsley to grated cheese. 3. Mix a stuffing for puffs to homogeneous consistence. 4. 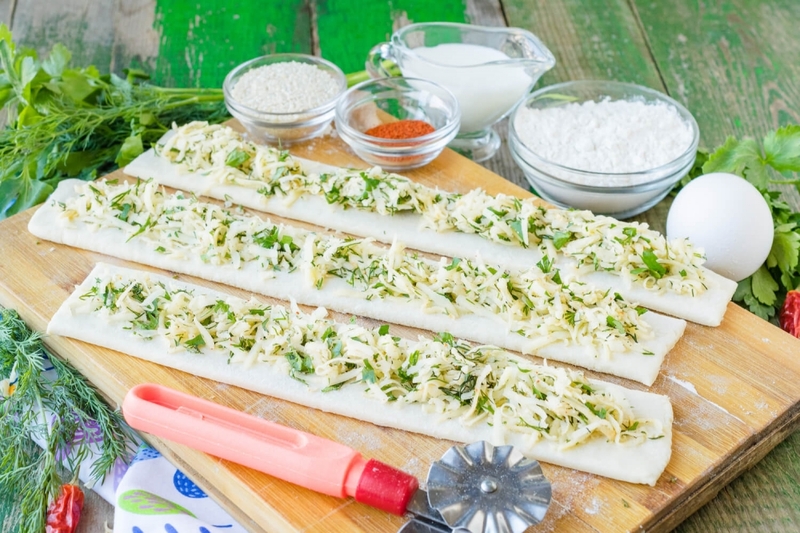 Roll puff yeast dough in rectangular layer 3-4 mm thick. Let's cut dough on preparations 5 cm wide and 25 cm long. 5. Lay out sulguni and greenery stuffing on each preparation. 6. 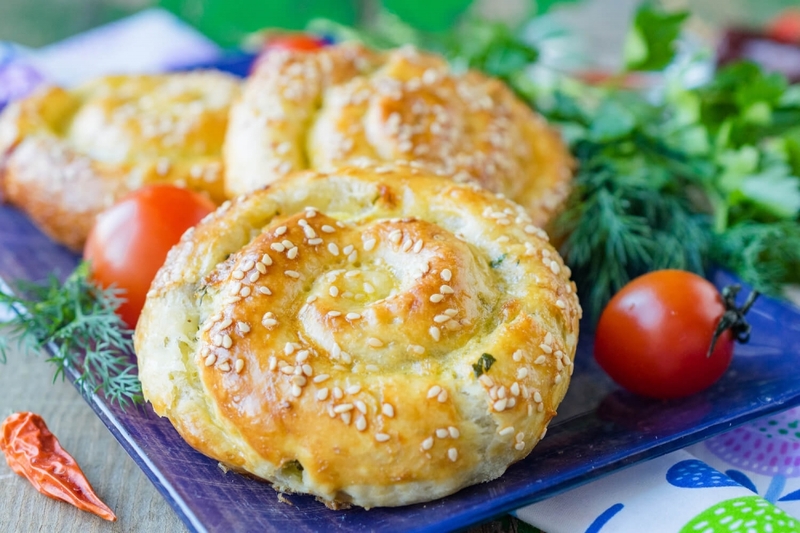 Carefully join the edges of the dough, forming tubules with a cheese stuffing inside. 7. By means of a silicone brush grease the seam with a small amount of milk. Let's wrap tubules in a snail shape so that the seam is inside. 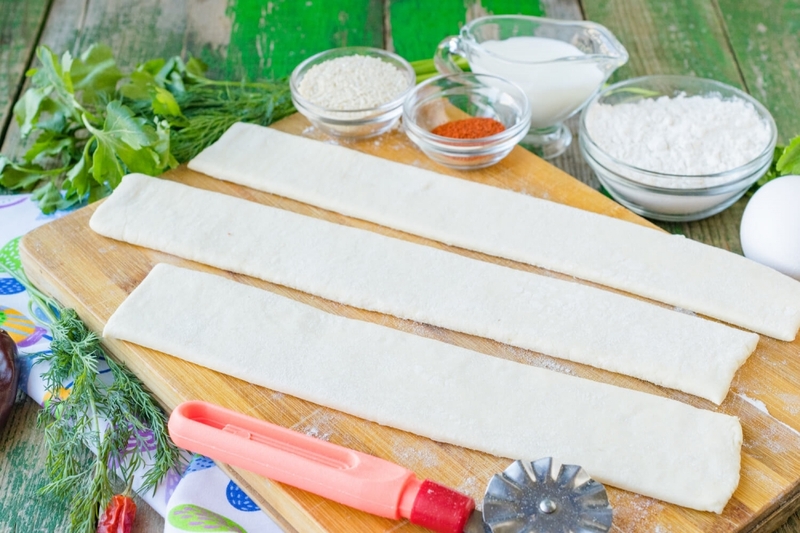 Thanks to it puffs will hold a form well and will not be deformed during baking. 8. Let's lay out puffs snails on the baking sheet laid by baking paper. Cover preparations with a dry towel and leave them in the warm place for 30 minutes so that puffs rested and approached. Then grease puffs with the whipped egg and decorate with sesame seeds. 9. 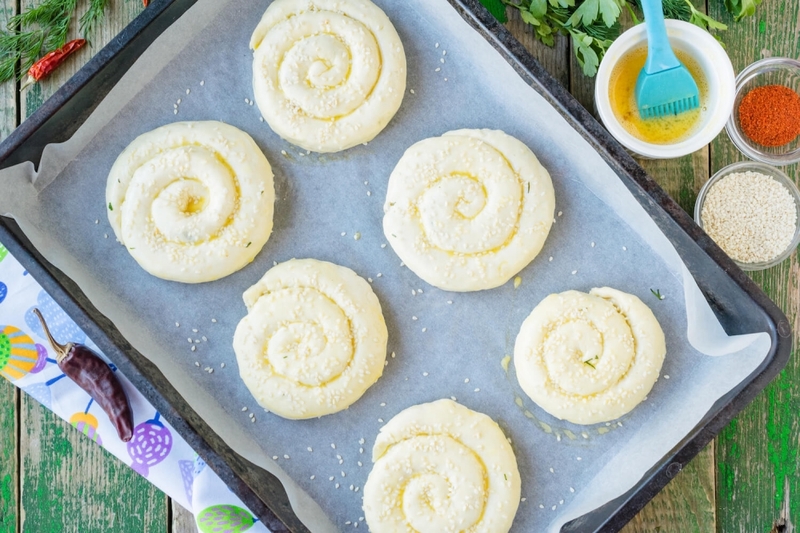 Send puffs to the oven heated to 180 degrees. Let's bake them for 20-25 minutes to an appetizing golden brown. 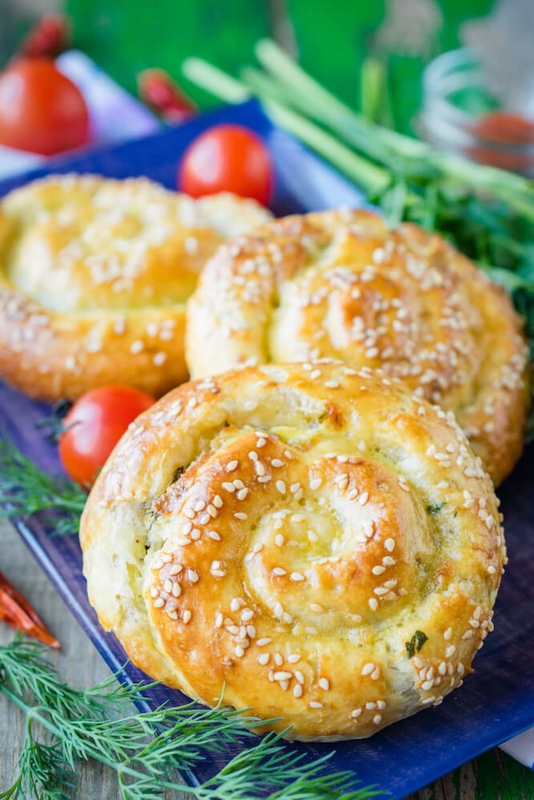 Serve ready-made puffs hot with tea or coffee.